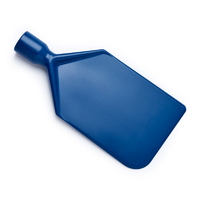 Detectable one piece paddle with holes, available colour coded in up to 5 colours. 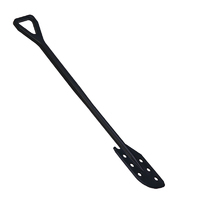 Chamfered scraping edge follows the curves of cooking vessels, and the hook feature at the top end facilitates a good grasp on cooking nets etc. 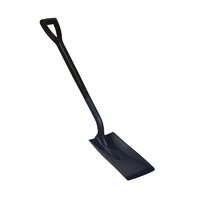 Manufactured from detectable polymer. 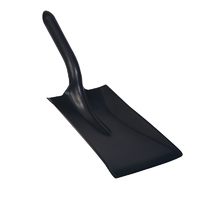 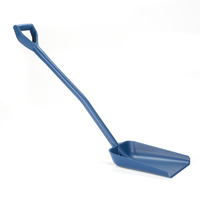 Polypropylene metal detectable paddle scraper blade specially molded to allow for easier cleaning on curved surfaces.